Dubai has now firmly established itself as a tourism destination of global repute. Millions of guests, from western Europe, the CIS, GCC, and northern Africa visit the emirate each year. They come to sample the luxury hotels, world-class shopping, beaches and eye-popping attractions. But with this flighty global elite always ready to be wowed by the ‘next big thing’, Dubai is looking toward the long-term and seeking to diversify its offering. While the wealthy are still, of course, welcome to visit the air-conditioned shopping malls, the Dubai Department of Tourism & Commerce Marketing is actively trying to develop the mid-price, family market. During a brief stop in London, Dubai Tourism chief executive, Issam Kazim, explains: “There is a Dubai that has proved remarkably popular, featuring the Burj Al Arab, Burj Khalifa and Palm Jumeirah. “But there is a lot more to the destination. “Tradition is something we will be focusing on moving forward, the spice markets, the textile markets, things people can go and explore. “We have small, family-run restaurants that are still owned by the same people as 40 years ago, these are the genuine attractions we are keen to show. This cultural offering is very much aimed at the family market, a sector that has grown rapidly in recent years. While the destination might formerly have appealed to honeymooning couples, the emirate is keen to show it can be fun for all. IMG Worlds of Adventure – touted as the largest indoor theme park anywhere in the world – has just opened, covering 1.5 million square feet. Divided into four zones, including those dedicated to Cartoon Network and Marvel, it contains 22 rides and attractions and is likely to prove a real asset to the destination. La Perle, a new show produced by cultural creative company Dragone and housed in a purpose-built auditorium in Al Habtoor City, will also draw the crowds when it opens later this year. Both join Dubai Parks & Resorts, which opened in mid-2016. Home to the first LegoLand in the Middle East, it also houses a Motiongate theme park and an area dedicated to Bollywood, all of which have combined to make it one of the most popular attractions in the emirate. “Dubai Parks & Resorts is a world-class facility; you would need at least three days to explore what the parks have to offer there,” adds Kazim. Of course, a visiting family is likely to need very different accommodation to solo travellers. With this in mind the emirate has been working to diversify the offering, building more two-, three-, and four- star properties. 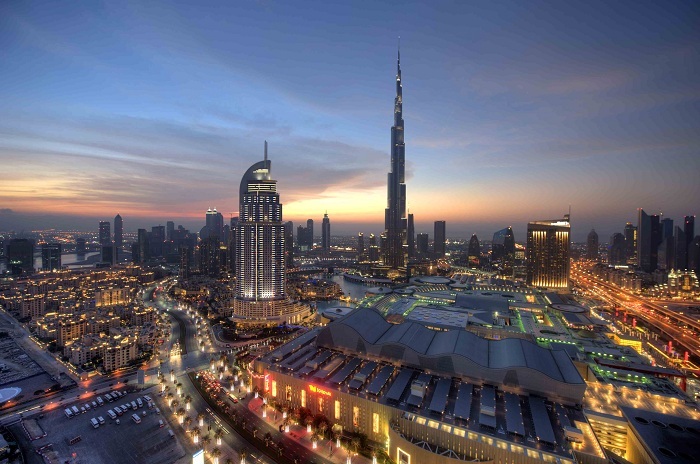 Emaar, the Dubai-owned property developer, has been leading the way, with the launch of its new Rove imprint. The brand, which currently has three properties in operation and designs on a further seven by 2020, seeks to bring fuss-free hospitality to the next generation of travellers to Dubai. “We have developed incentives and attractions designed to encourage private operators to go into this accommodation sector,” continues Kazim. The trend was also picked up recently at the Arabian Hotel & Investment Conference, which noted the tremendous opportunities available in the mid-range market. While not rejecting the assets that have made it famous, Dubai is certainly having some success in broadening its appeal. Last year the emirate welcomed 14.9 million overnight visitors, recording a five per cent increase on 2015, according to the latest figures from the department of tourism. The latest success means the destination achieved a four-year compound annual growth rate of eight per cent from 2012-2016. If growth continues at this pace, the emirate will reach its target, set by Sheikh Mohammad Bin Rashid Al Maktoum, ruler of Dubai, in 2012, to attract 20 million guests per annum by 2020. A little scepticism necessary with the figures, however, with Omani drivers crossing the border for a few hours to buy cheaper petrol included in the numbers, for example. But a wider sense, the increases are all part of a deliberate plan on the part of the Dubai authorities to build for the long-term. “In 2012 we mapped out exactly how we could reach 20 million guests a year by 2020,” continues Kazim. “By the time this strategy was developed and rolled out, we had less than seven years to reach the targets it contained. “We have worked very closely with the industry, the hotels, the airline, airport, and our infrastructure partners to move this forward. “The strategy also highlighted that you cannot just rely on the six or seven key source markets. “Diversity has been key; there are a lot of socioeconomic and geopolitical trends which we cannot control. Looking ahead Dubai is also seeking to train the next generation of hospitality service providers, through the development of Emirates Academy of Hospitality Management. “With the academy we are seeking to offer affordable training, to make it easy and accessible. “Yes, the big hotel chains have their in-house training development programmes, but the retailers, restaurants, and even taxi companies, they do not. Dubai is nothing if not ambitious, having gone from a small fishing village to a global destination in the past half century. Time will tell it is successful in this next stage of its evolution. As a sure fire sign of success, World Travel Awards voter recognised Dubai as the World’s Leading Destination last year, the fourth year in succession that the emirate has taken the title. World Travel Awards itself will return to the Armani Hotel Dubai in for the Middle East Gala Ceremony in October. 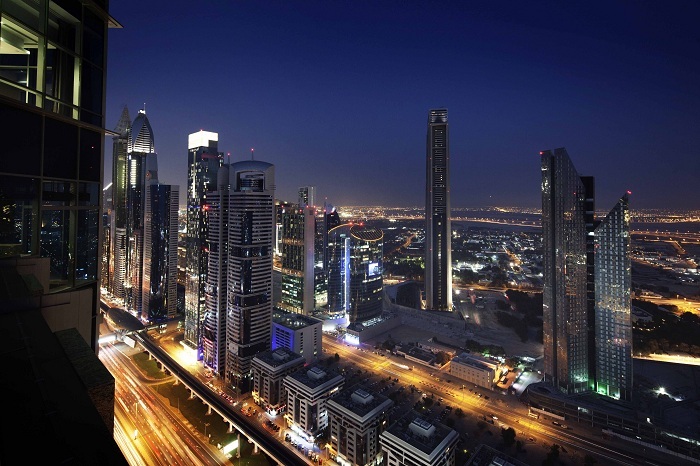 Dubai will defend its title of Middle East’s Leading Destination at the event. With the ultimate vision of positioning Dubai as the world’s leading tourism destination and commercial hub, Dubai’s Department of Tourism & Commerce Marketing’s mission is to increase the awareness of Dubai to global audiences and to attract tourists and inward investment into the emirate. DTCM is the principal authority for the planning, supervision, development and marketing of Dubai’s tourism sector; markets and promotes the Emirate’s commerce sector; and is responsible for the licencing and classification of all tourism services, including hotels, tour operators and travel agents. Find out more about the organisation and Dubai as a destination on the official website.